Guy Rover makes a bid for closet room with this solid blue dress shirt. 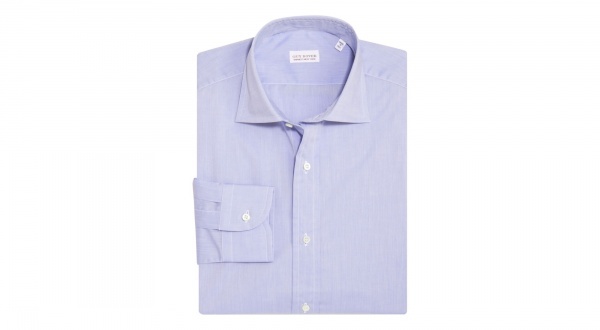 A basic cotton poplin design with soft blue coloration, it’s a great no-brainer for those days when you just need something comfortable, stylish, and classic, without overthinking it. Available online now. This entry was posted in Dress Shirts, Tops and tagged Blue, Guy Rover. Bookmark the permalink.